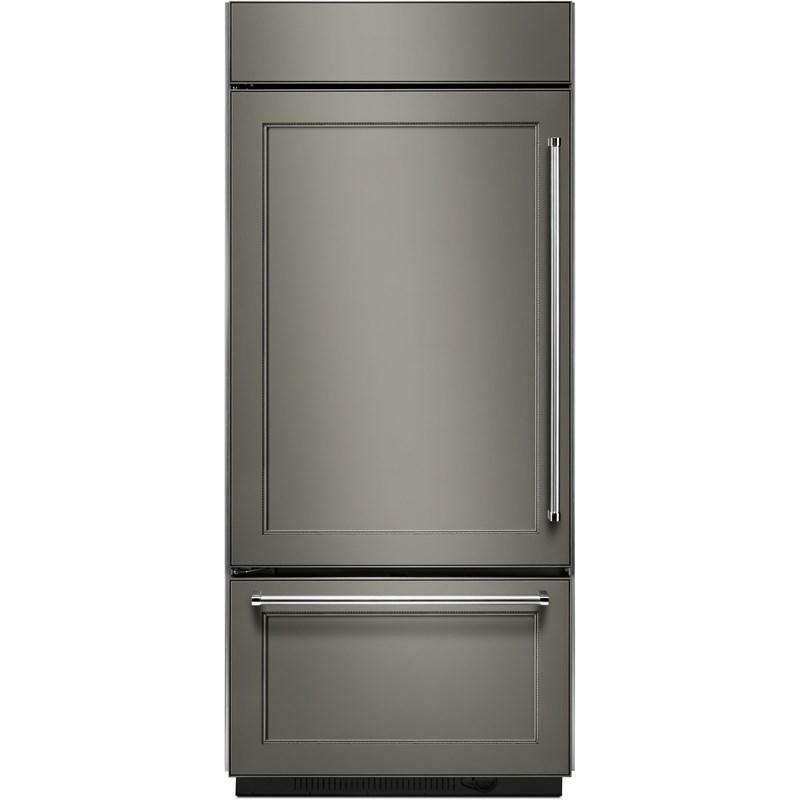 This built-in KitchenAid panel ready, bottom-mount refrigerator is as beautiful inside as it is outside. 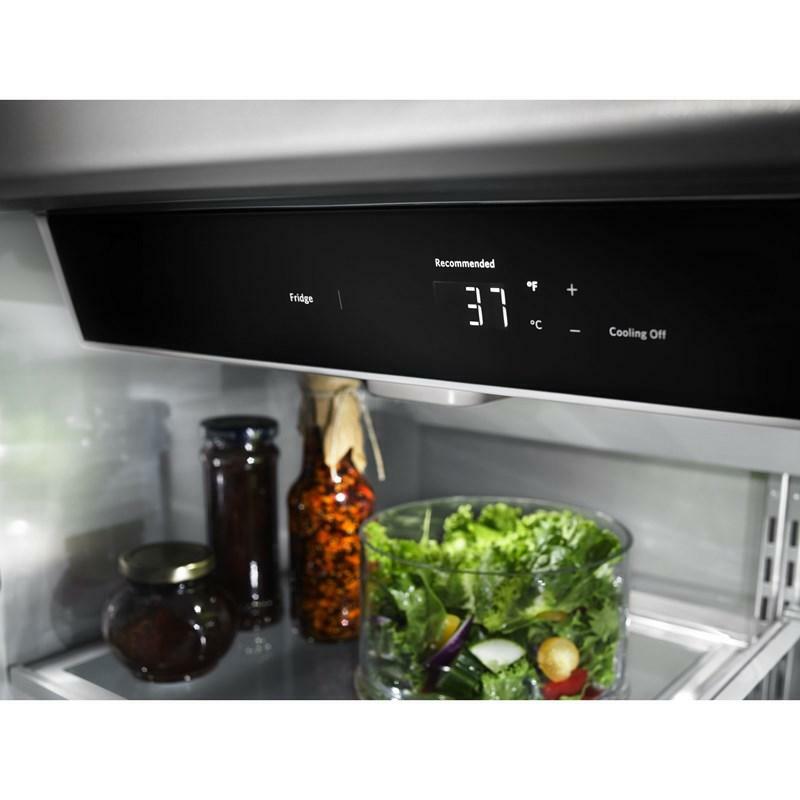 The Preserva® Food Care System features three technologies that work in concert to assure crisp produce and deliciously flavorful foods while helping to eliminate refrigerator odors. The exclusive Platinum Interior Design features glossy silver walls that harmonize with the metallic accents on shelves, crisper and baskets of this left-swing door refrigerator. 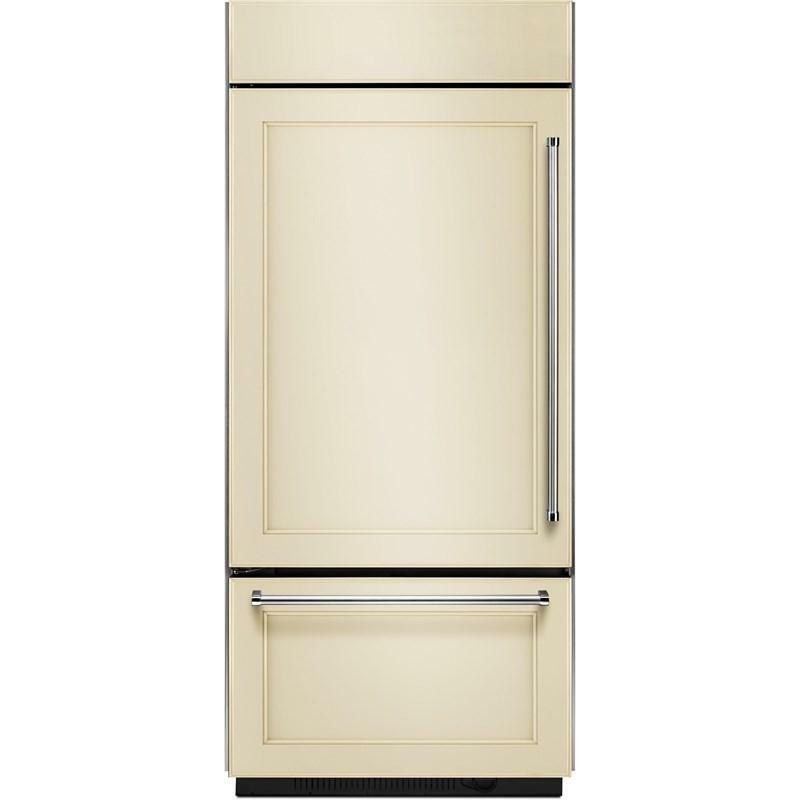 Refrigerator 15.3 cu. ft. / 0.43 cu. m.
Additional Dimensions • Depth With Door Open 90 Degree : 59"